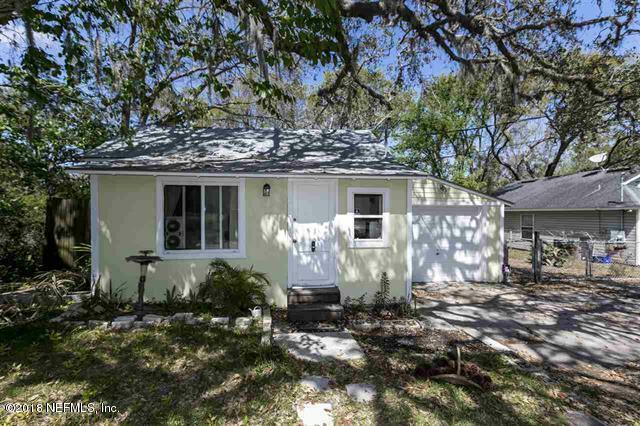 30 Madeore is a cute cottage that would make a great investment, first home or Flagler student housing. Just 1.5 miles from Saint Augustine's Historic District, Its large lot sits high and dry so no need for flood insurance. The garage is great for storage or could become a Master Suite. The ample yard could house a shed or detached garage with plenty of room for a garden. This home sits in a USDA Zone so ask your lender about a No Money Down loan! This 2 bedroom home has a roomy front porch, sunny kitchen and a large bathroom. The home resides in St Johns County so the taxes are lower but gets city amenities like water and sewer. A quick walk or bike ride gets you to town. Close to great local restaurants and schools but in a quiet, treed setting that's over 20 feet above sea level.